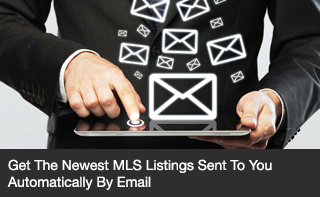 As you get into learning the best ways to buy a home in today’s busy market, you’ll need to familiarize yourself with the terms of the business so that you will be speaking the same “language” as the real estate and mortgage financing professionals in the field! 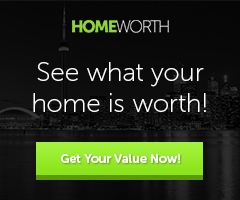 What is “fair market value” and how do I determine it for my condo? 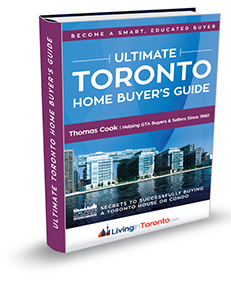 Simply put, the fair market value of a home is the highest price an informed buyer will pay for it, assuming there is no unusual pressure to complete the purchase. 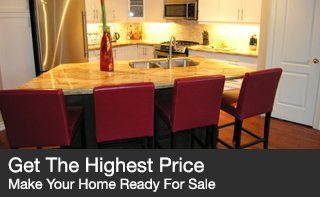 It usually is not the asking price. To get an estimate of fair market value, call your real estate agent and ask for a Comparative Market Analysis (CMA) of your home. 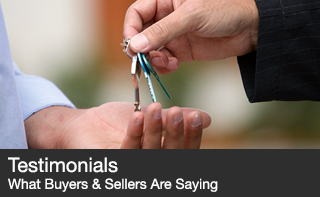 Most agents will provide this service free of any charge or obligation. 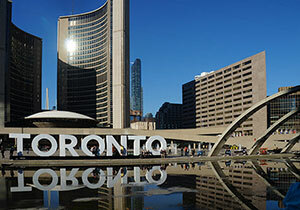 Other than a lot of snow and freezing temperatures, what else could slow down our Toronto real estate market? Oh yes, mortgage financing stress tests and… more snow and freezing temperatures. 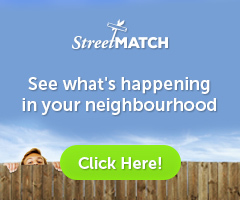 The weather is definitely a factor when it comes to how busy our market is so it isn’t surprising that the January house and condo sales were slower in some neighbourhoods. With overall sales and listing inventory flat year-over-year, the average sale price rose a minuscule 1.7% from 12 months ago. 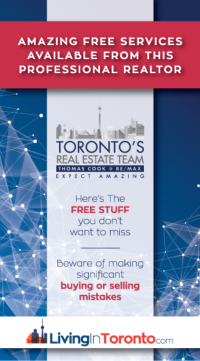 The Toronto Real Estate Board stats showed that the ratio of sales-to-listings was just barely above a ’neutral’ market on average with neighbourhoods in York Region deeply into ‘buyer market’ territory. 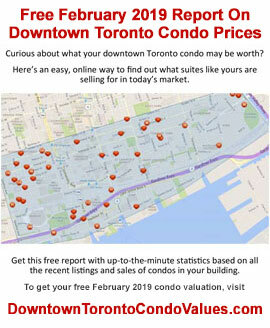 Downtown condo sales were also hit with numbers down 28% west of Yonge and lower by 46% east of Yonge. 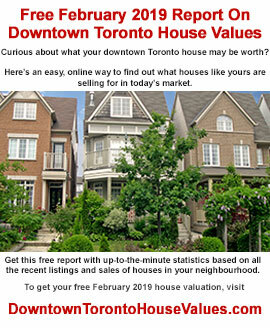 Appreciation rates compared to January 2018 were lower too… up by 7.6% west of Yonge and by 5.2% to the east. 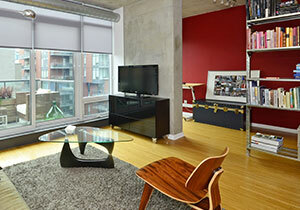 Curious about what your condo or house might be worth in today’s changing market? 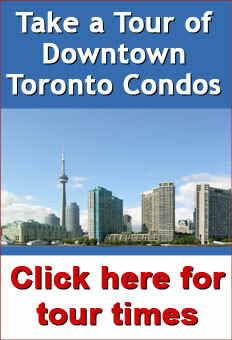 For a condo valuation, go to DowntownTorontoCondoValues.com and for houses, click on DowntownTorontoHouseValues.com. 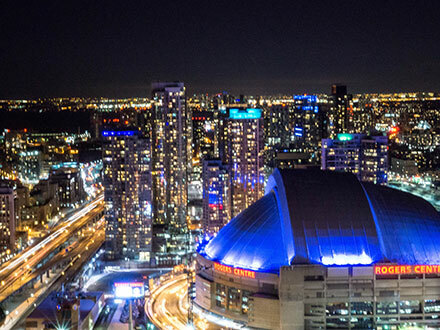 To keep current on market activity changes and analysis during the month, go to Facebook and ‘Like’ my Toronto Real Estate Analysis page. 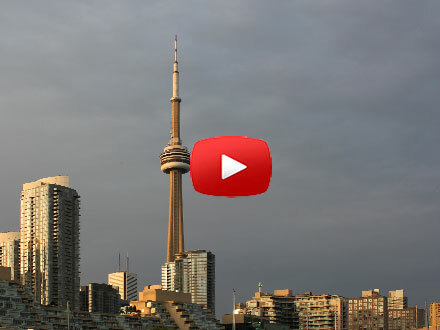 Watch the video or read the JANUARY 2019 Market Report Analysis and please keep me in mind when any of your friends are talking about buying or selling real estate in Toronto. 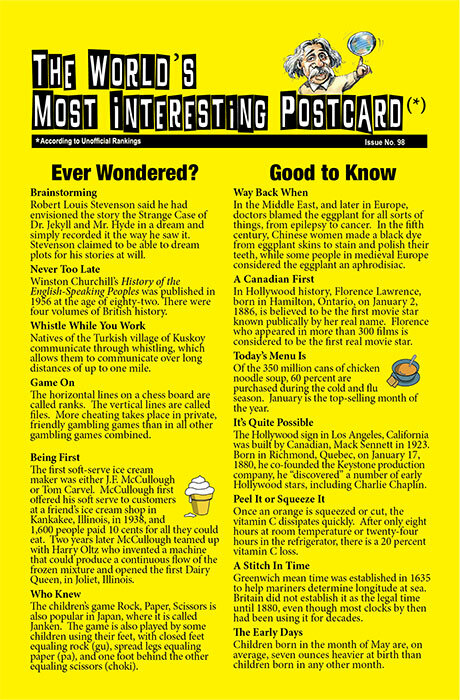 Now and then we post our latest World’s Most Interesting Postcard in our Team newsletter. You might be amazed at what you’ll learn from these interesting tidbits!! Please keep us in mind throughout 2019 whenever you hear friends talk about real estate at any time... we're always here to advise, consult and help.